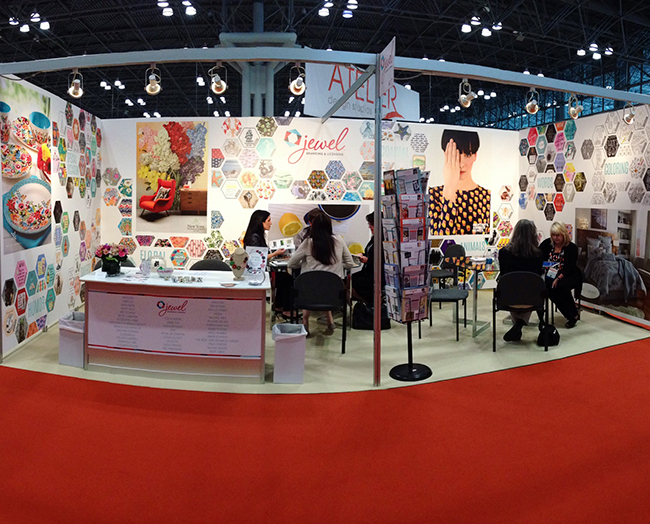 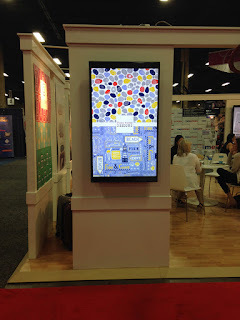 It's been great to hear from my agents, Jewel Branding, that the summer shows at Surtex, New York and Licensing Expo, Las Vegas were a resounding success with lots of exciting companies visiting the stand and many of them choosing to view my portfolio with the possibility of becoming licensing partners in the near future! 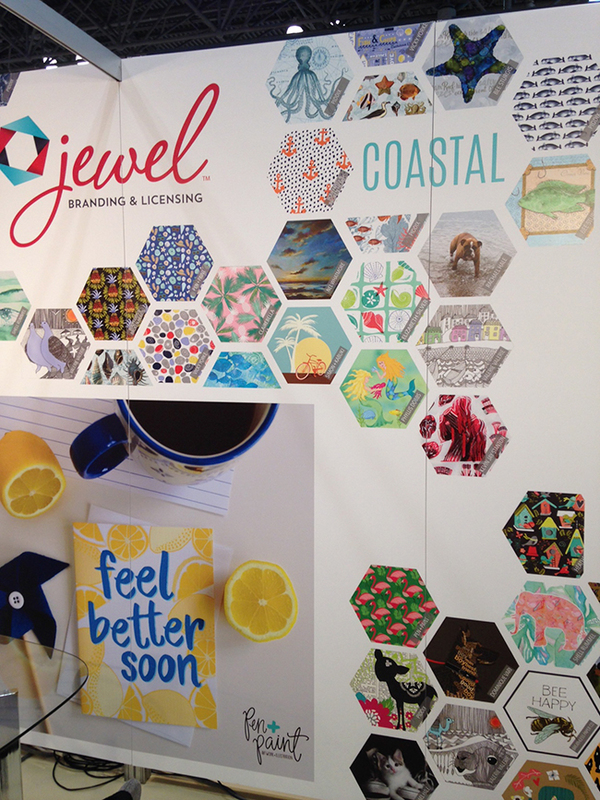 Jewel have kindly shared with me some photos of their booths, which I'm sure you'll agree looked absolutely fantastic! 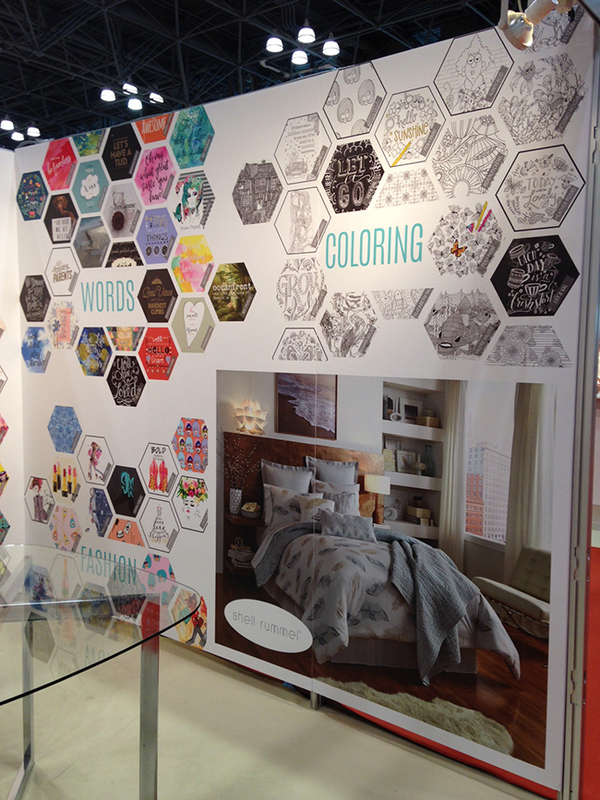 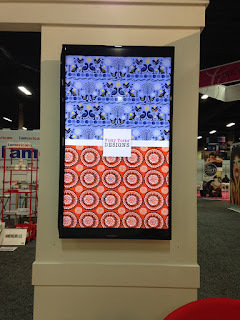 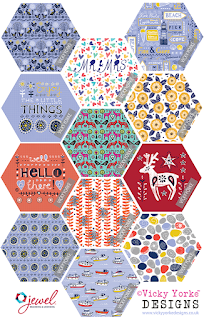 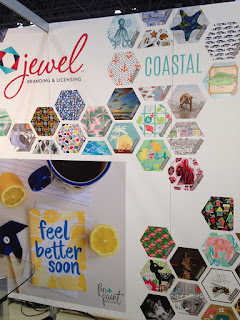 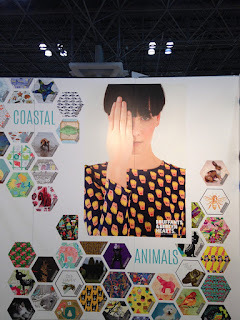 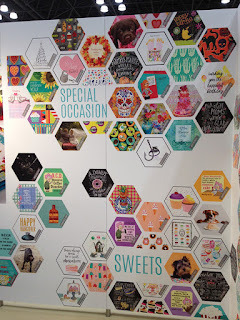 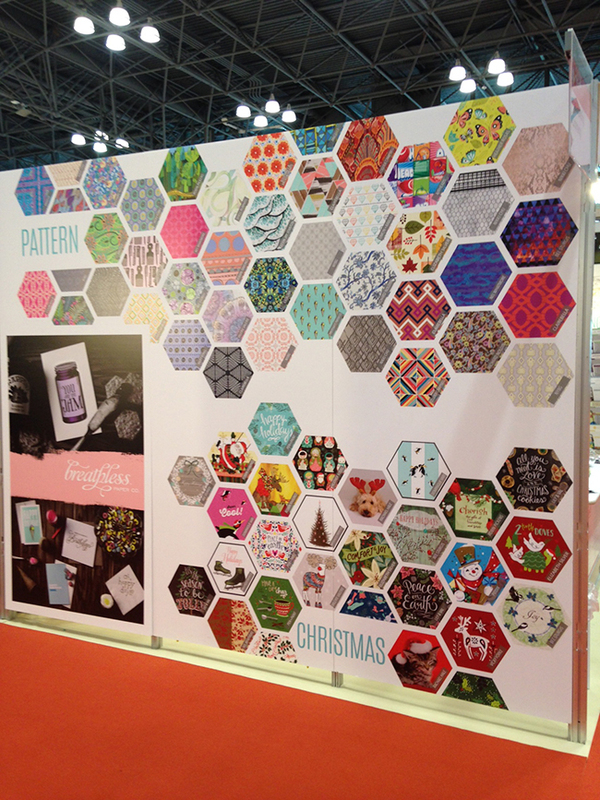 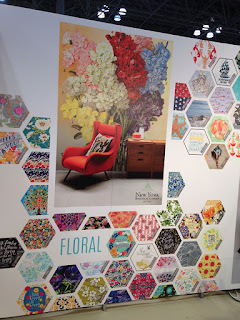 First, are some images of the booth at Surtex, where each of the Jewel designers were asked to format their designs into hexagons, which were then used to create a really striking stand display. How many of my designs can you spot in the photos below?! 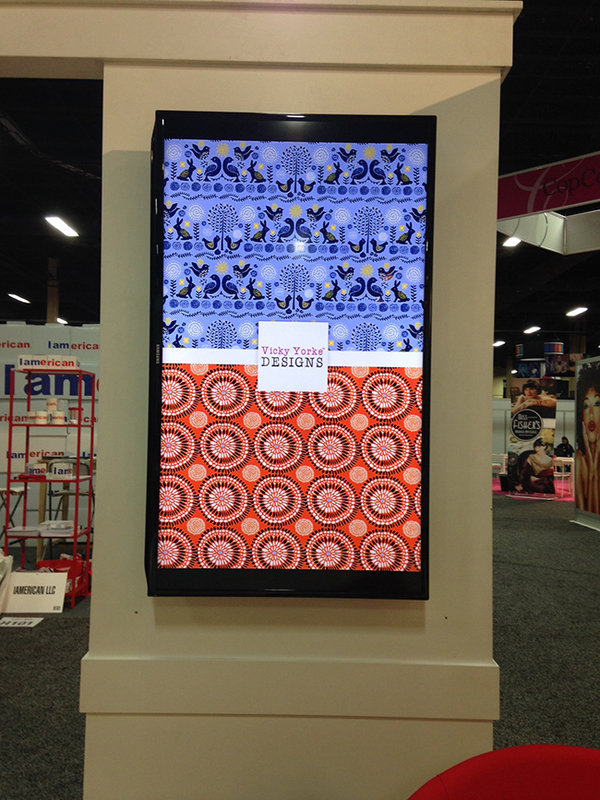 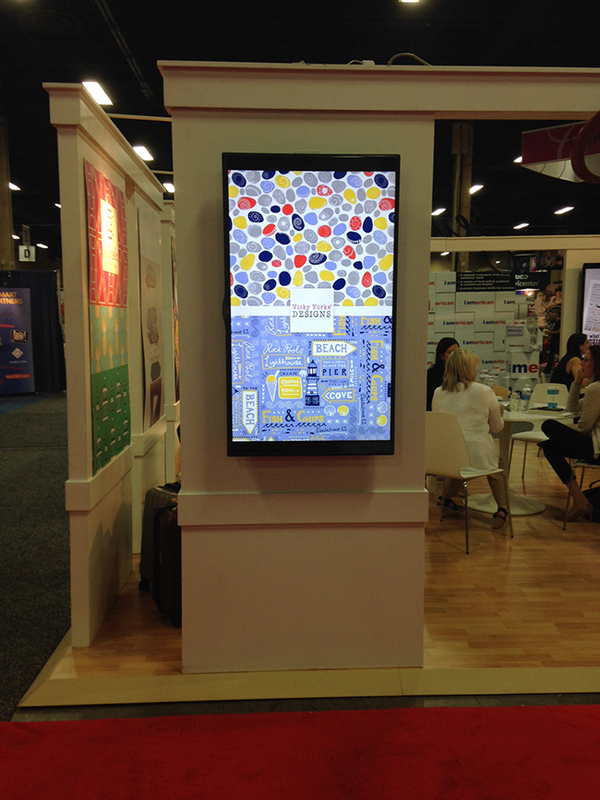 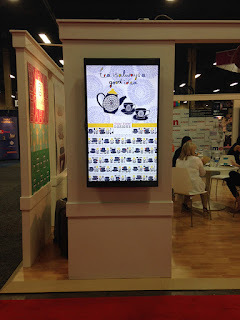 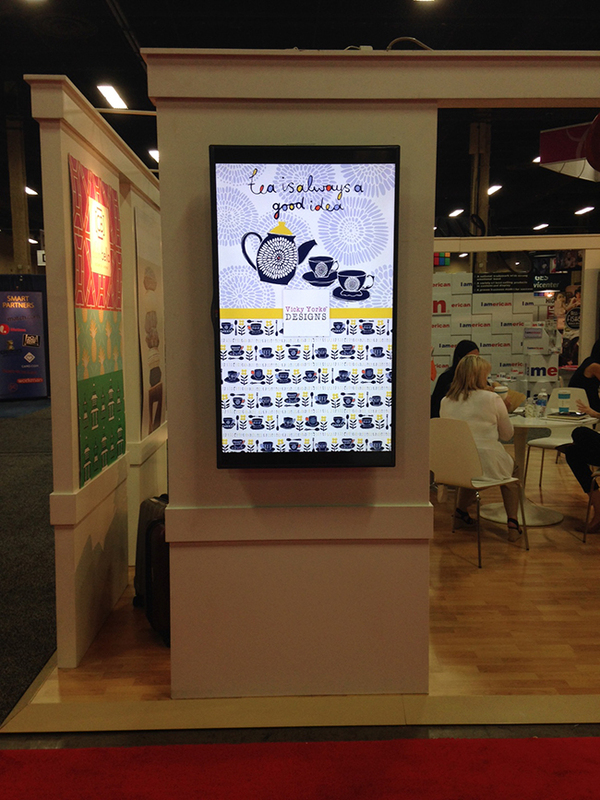 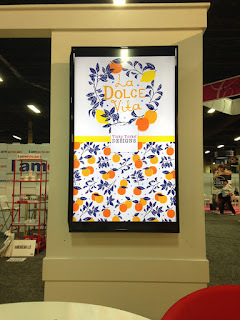 And below are images of the stand at Licensing Expo, where some of my designs were shown on large digital display screens. 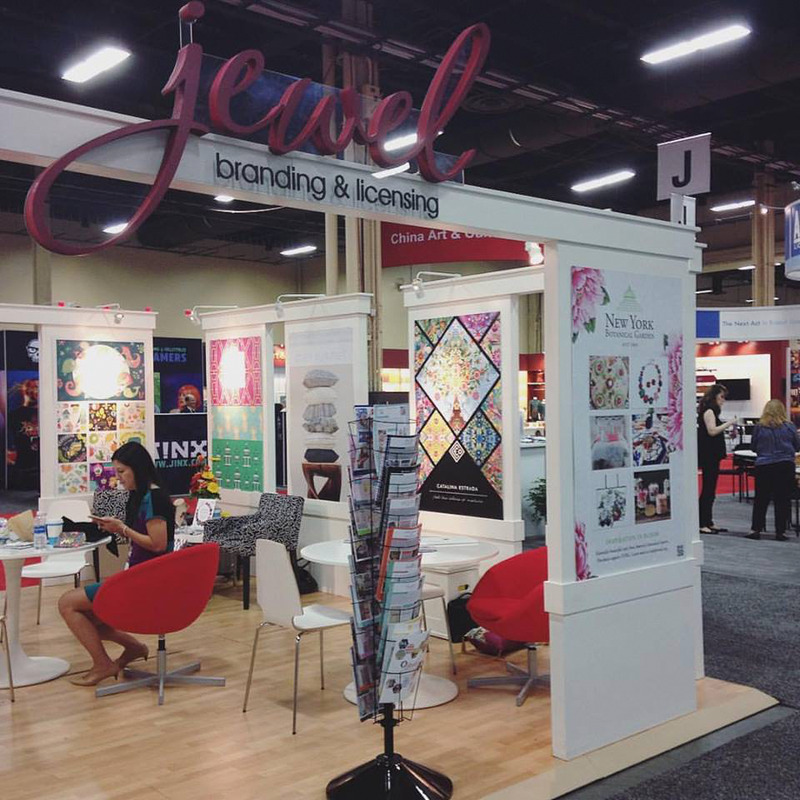 Photographs copyright Jewel Branding & Licensing. 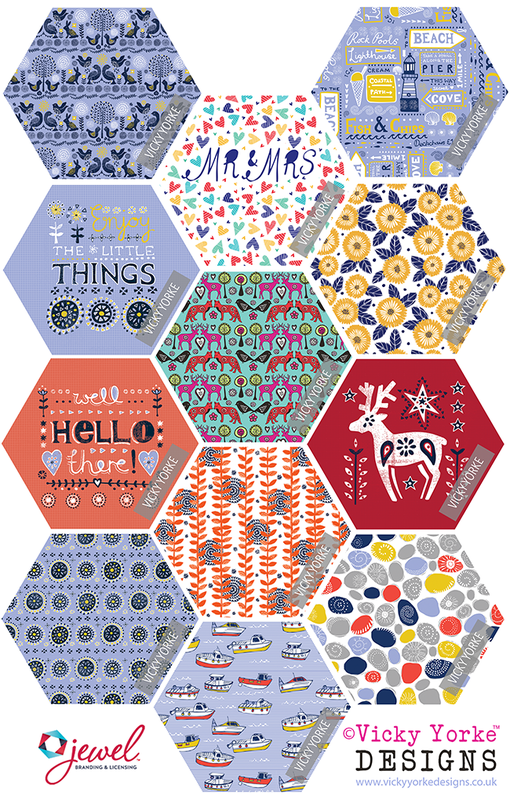 All artwork copyright Vicky Yorke, Vicky Yorke Designs.